At Happy Faces Preschool and Childcare, our educators are qualified and experienced to provide a rich and meaningful curriculum to ensure learning and development takes place every single day. They do this by taking an active role in establishing respectful and caring relationships with children and families in order to work together to co-create teaching and learning experiences, which are relevant to children in their local context. Educators at Happy Faces embrace play base learning as a valuable process for thinking, imagination, story making and communication. Play provides a supportive environment where children can ask questions, solve problems and engage in critical thinking. Play can expand children’s thinking and enhance their desire to learn and our team of teachers are there ready to transform that desire into knowledge. Our aim is to be responsive to all children’s strengths, abilities and interests so we can develop the whole child in regards to physical, social, emotional and cognitive aspects of learning. Our Curriculum wall displays “learning” every single day. Families are able to view the teaching and learning experiences with their child and what they have achieved. The Early Years Learning Framework is a document which aims to extend and enrich children’s learning through the view that children’s lives are characterised by Belonging, Being and Becoming. At Happy Faces Preschool and Childcare we are committed to providing an environment where there is quality teaching and learning, with emphasis on play based learning, whilst recognising the importance of language, literacy, numeracy, social and emotional development. Our indoor and outdoor settings are organised into learning centres to enable children to explore, solve problems, create and construct in order to create meaningful learning. Our goal is for all rooms to be welcoming spaces which reflect the lives and identities of every child whom attends Happy Faces. At Happy Faces our children are divided into 3 groups for teaching and learning sessions. The youngest members of our Happy Faces family…….. we ensure small group sizing to allow teachers to build trusting relationships in order for children to feel confident to explore and learn. We believe that when children feel emotionally secure they develop the important language skills they need to build the foundations for other areas of development. Our beautiful Butterfly’s are full of energy and fun and we concentrate on children learning through interests and play to teach self help skills, independence, following instructions and being a member of a group. 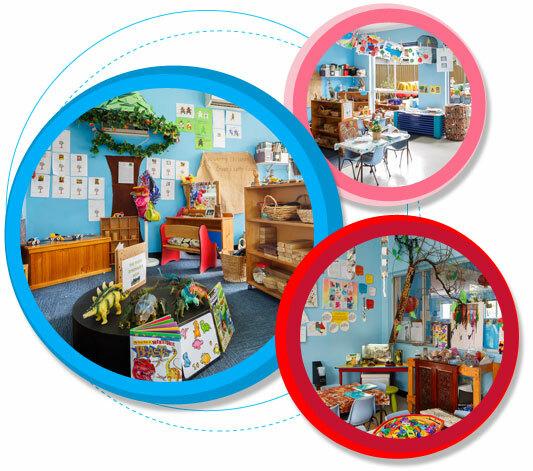 We also focus on extending attention span with longer lessons in preparation for the preschool room. 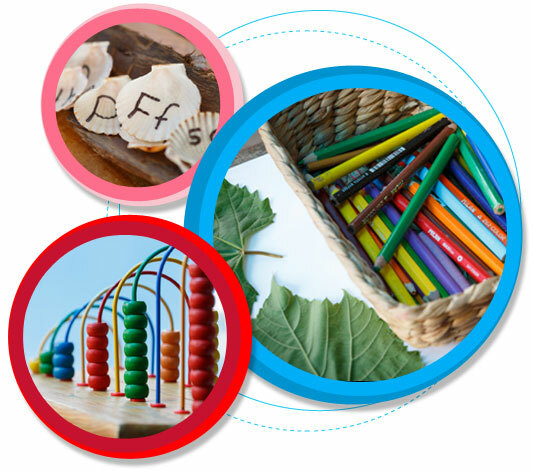 All the foundations of learning are built upon in terms of Maths, Science and Literacy using the children’s interests as the motivating force. As our future graduates, we focus entirely on preparation for school throughout the whole year. In partnerships with families, we identify learning goals for every child in our preschool group and teach according to levels of development. Our Early Childhood Teachers complete Transition to School Statements for parents to take and we collaborate with schools in our local area to ensure a happy and confident first year at ‘big” school. Extra curricular Activities / Celebrations. Happy Faces strives to make family involvement a priority, so we plan many family events which are respectful to culture and diversity whilst based on the children’s interests and strengths. Celebrating special events like Chinese New Year, Easter, Mother’s Day/Fathers’ Day, Eid, Harmony Day, Multicultural Day further connects families with Happy Faces and broadens the children’s awareness of the values and beliefs within the community. Many other family events are also organised to build a sense of community within our own centre. The children and families have been involved in the planning of outdoor movie nights, discoes, family picnics, walk-a-thons, market nights, gardening mornings and much more. Excursions and Incursions are also planned based on children’s interests and can include walks around our neighbourhood, athletics carnivals, performers coming to the centre, police/fire brigade visits, reptile and animal shows and excursions up to our local shopping centre. Parents are always invited to join us and be involved in any way they chose.